Badbeat.com, the original and leading online poker staking business, has introduced a new ‘Bankroll on Demand’ service, offering more flexibility and improved security to its players. Players can now decide how much of their bankroll to use across all of the sites Badbeat is affiliated with on a ‘where-and-when’ basis. Using yet another technology innovation, funds will only be transferred when specifically requested via Badbeat.com's proprietary software; adding the benefit of security on players’ accounts when they aren’t playing. 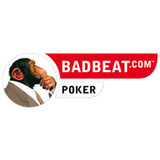 Poker staking has become an important part of the modern professional poker eco system, with many of today's top and up-and-coming poker talents enjoying the financial backing and professional mentoring of companies such as market leading Badbeat.com. Badbeat.com sponsored players enjoy the type of practical staking that helps their games develop profitably without risking the loss of their own finances.